Many employers have good reason to require their employees to sign noncompete agreements. 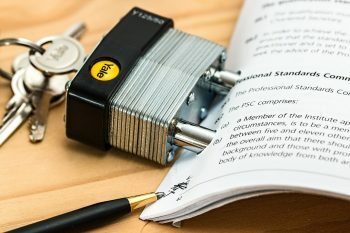 These agreements help them protect their corporate and trade secrets, and prevent a disastrous loss of clients should an employee decide to join a competitor or start his or her own firm. Noncompete agreements do have to be reasonable. Employers should take care to avoid overreaching with unreasonable demands on employees. Noncompete agreements are meant to protect legitimate interests and confidential information, not be used as a tool for restraint of trade. Courts are well aware of this. Here are eight tips Arizona employers should keep in mind when they are drafting noncompete agreements. #1: Is my company’s noncompete agreement enforceable? If it is drafted correctly and reasonable in terms of scope and restrictions, then it probably is. 2) Does the employer have a legitimate business interest to refrain the employee from competing with it? 3) Are restrictions on the employee’s right to compete too broad? #2: Make sure there is consideration. Be sure the employee receives something of value in exchange for signing the agreement. #3: Protect only legitimate employer interests. A noncompete agreement won’t be enforced by a court unless it demonstrates that its demands are reasonably necessary to protect legitimate business interests. But in protecting these interests, businesses can’t restrain employees who delivered special, unique, or extraordinary services to the business. Employers can protect specialized investment or training they provided to their employees with non-compete agreements if they can show that the training provided the employee with more than general on-the-job training. #4: Make sure the noncompete agreement is reasonable. Non-compete agreements must be narrowly tailored so that they do not exceed reasonably necessary steps to protect the employer’s legitimate interest. (2) the scope of the employee’s duties. Courts will not uphold noncompete agreements that seem longer than necessary or unduly harsh to the employee. A common rule-of-thumb is to limit noncompetes to the length of time that it will take you to adequately train the departing employee’s replacement. #5: Go easy on restrictive covenants. Courts will not enforce noncompete agreements they find too restrictive. They may decide they restrict too many activities, last too long, or cover too much geography. #6: Define what kind of information is confidential. Don’t try to be too broad in defining what information is confidential. This can sink an agreement. Instead, use terms that specifically explain what a particular employee does that’s protected. This can protect the business from facing a failure-of-consideration argument down the road. #7: Identify and safeguard confidential information early on. Lock up information early on if you intend to include it in noncompete agreements. Decide upfront and early on what company information is confidential and identify and shield as such. Noncompetes should not be the document to identify confidential information. If something is truly confidential company information, the company better be able to show that has treated it this way all along. #8: Be consistent with noncompete agreements, employees, and business interests. Even if you put everything you are supposed to in your noncompete agreement, courts want to make sure that everything you list is truthful. Act consistently to protect your business interests. Require all employees with access to your interests to sign a noncompete agreement as a condition of employment, and make sure the agreement is reasonable and identical for all of them. Take other steps to safeguard sensitive information. Password protect access to sensitive information and use security cards for entry to sensitive areas. If you’re in the process of creating noncompete agreements, contact my office today to schedule a consultation.